This blog hop is dedicated to blog post ideas to fill your content calendar and engage your audience. 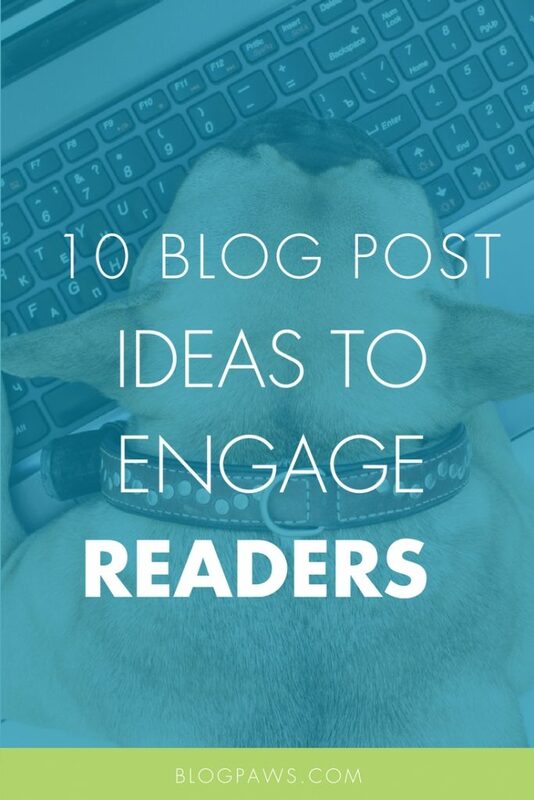 We all get writer’s block, or as I like to call it, blogger’s brain, and that’s where these 10 blog post ideas and topic starters come into play. See how many you are currently using and how many new ones you discover. Then jump into the blog hop and add your link as directed below. It’s a fun way to engage and network with other pet bloggers. Read through your Facebook comments for your blog’s social media page. Take a peek at Instagram feedback on your posts. What blog comments seem to present themselves time and again? Start gathering a list of all the questions and pain points received by your readers. These make for awesome blog post. Each question can likely be turned into a topic for your core audience. Even though a holiday presents itself on the calendar does not mean you should cover it if it does not make sense for your niche. For example, National Snake Day would not bode well for a hamster blogger and so forth. Use pet holidays to your blog’s advantage. If it’s National Puppy Day and you are a general dog blogger, consider a post on puppy training, plan in advance, promote early, and then jump aboard the appropriate hashtag the day of the holiday. This one works particularly well if you are wanting to monetize with affiliate marketing. An honest look at how two products compare and contrast can really help a reader. You can link to the various products with your affiliate marketing accounts. 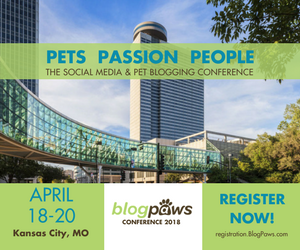 Learn more about this during my Affiliate Marketing session at the BlogPaws 2018 Conference this April. This is a favorite idea of many: What are the best blog posts you have read lately? Turn those into a roundup post. Be sure to properly link out and credit the bloggers you are citing. This is a good networking technique as well. Interview someone. Consider doing the interview on a platform like Facebook Live and following it up with a blog post that includes the embed video from Facebook. The key is to promote the post and Facebook Live in advance. I love mythbusters and I am not alone. Busting myths and dispelling untruths is a huge keyword search these days. Debunk in your niche. People love to learn what they have been doing is either right or wrong. Share a historical perspective. When did cat litter first hit the scene? What mistakes were made along the way? When did ferrets become popular as pets? Great historical blog posts can perform well. It need not be a holiday season to put a gift guide together. People always want to know what to buy for a pet or a pet lover year-round. Think of “20 Summer Outdoor Games for Dogs” and include affiliate links to some of those products included. Tell your readers where you will be locally or perhaps feature local or national events that allow well-behaved pets. Oh, there’s a bonus 11th blog post idea: How to raise a well-behaved pet.